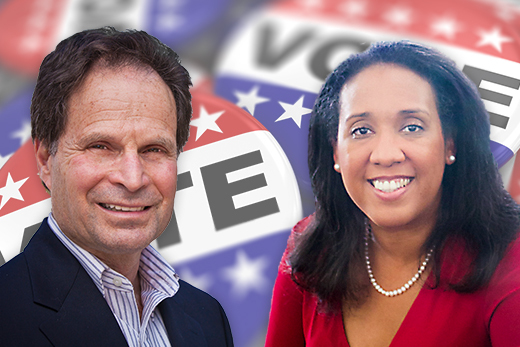 Emory political science professors Alan Abramowitz and Andra Gillespie serve as prominent resources for national and international media, quoted in hundreds of articles offering context in the 2016 presidential race. With a volatile presidential race drawing to a close, Emory political science professors Alan Abramowitz and Andra Gillespie are deeply caught up in the frenzied sprint to the finish line. From The New York Times to the Washington Post and CNN, both Abramowitz and Gillespie have become go-to resources for national and international media outlets, online bloggers and civic groups struggling to make sense of a campaign saturated with unexpected developments. For political scientists and public scholars, a presidential election can be both exhilarating and exhausting. This year has been a standout for political intrigue, fodder for vibrant classroom discussions as well as research, says Abramowitz, Alben W. Barkley Professor of Political Science. So far, this year’s media requests have far surpassed those from the 2012 presidential race, a fact that he largely attributes to public intrigue with the phenomenon of Republican presidential nominee Donald Trump. Gillespie has also emerged as a popular media source for analysis of what has proven to be a caustic — and fascinating — presidential race, a living laboratory for political scientists and public scholars. Like Abramowitz, she’s teaching a class this fall focused on elections. And following daily political gyrations has not only informed what she brings to the classroom, it’s also fed her own research, notes Gillespie, who identifies strong ties between her public scholarship and teaching. An associate professor of political science, she also serves as director of Emory’s James Weldon Johnson Institute for the Study of Race and Difference. “One benefit of public scholarship is the fact that there are times when reporters will ask something that I can’t answer in the moment, but that raises important empirical questions that are researchable,” says Gillespie, who is currently working on two books focused on elections and the political process. Gillespie’s own research is grounded at the intersection of race and politics, so many media questions have addressed black and minority candidates, minority voting behavior and Trump’s often-controversial comments surrounding minority groups. A book due out next summer examines the representation of African American interests in the Obama administration. “In my own writing, I’ve been interested in black politicians who try to present themselves as being racially transcendent in order to expand their appeal,” Gillespie says. About 15 years ago, some scholars began to argue that political candidates were no longer directly appealing to race — that a candidate wouldn’t be expected to make explicit appeals that could easily be characterized as racist by opponents, she notes. With a special research interest in what he calls “the era of political polarization,” this year’s presidential race has offered Abramowitz a rich data pool for both his own scholarship and the classroom. Noted for his successful election forecasting model, which has predicted the popular vote within two points or less of every U.S. presidential election since 1988, Abramowitz is the first to admit that this year’s race has disrupted his forecasting method. For Abramowitz, the outcome of this year’s presidential race isn’t an ending, but an invigorating starting point for new analysis. What happened and why? Where do both parties go from here? And it will inform his latest book project, which examines the transformation of the American political party system, tracking societal change and political forces from the post-New Deal era to the Trump-Clinton race. “Every election is unique, but I do think there are some long-term trends that are evident this year, including a growing racial divide between parties, growing racial resentment among uneducated white voters, and the impact of that on the Republican party,” he notes. But if you’re convinced that this year’s presidential race has achieved an all-time low for political rancor, think again.